Press Release – London – 3rd May 2018 – Reapit is introducing a real-time data feed for clients using RPS to instantly upload their properties to OnTheMarket.com. This feed will also be available to JET Software clients – Reapit’s reseller of the best-practice version of RPS that has been tailored for entrepreneurial agencies. 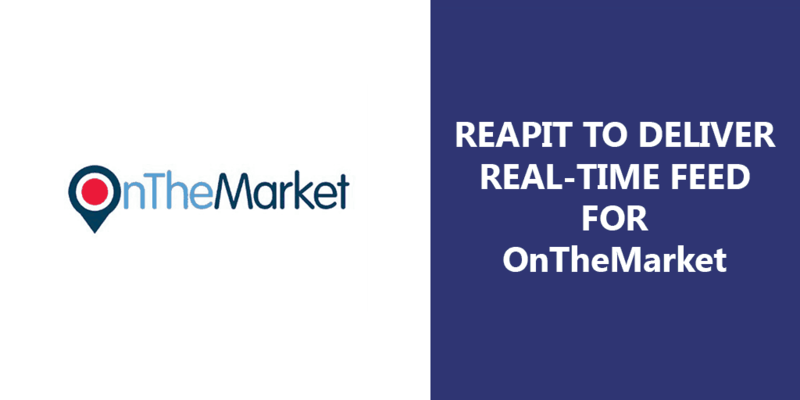 Reapit and OnTheMarket will shortly start to migrate their shared clients to the new feed. This will be done individually to ensure quality control across the hundreds of thousands of listings marketed by their joint clients. There will be no additional charge for the service. Launched in January 2015, the OnTheMarket.com property portal was created by Agents’ Mutual Limited, a company limited by guarantee and founded in January 2013 by a small group of agent firms, with the objective of creating a new portal to challenge the dominance of Rightmove and Zoopla. Both groups were felt to be using their strong positions relative to their agent customers to impose significant price increases for their portal services. The Agents’ Mutual proposition of an agent-backed portal offering a premier search service to consumers whilst charging fair prices to agents quickly found support among a very wide group of leading independent agents across the UK. These firms funded the venture by way of loan note subscriptions and committed to list with the portal once it went live. OnTheMarket is the third biggest UK residential property portal provider in terms of traffic and has, with backing from its agent owners, developed unique sources of competitive advantage such as the “New and Exclusive” property listings. OnTheMarket plc completed an IPO on AIM on Friday 9 February 2018 alongside a capital raise of £30 million to support a new growth strategy for the business. In the first five weeks following the IPO over 1000 new agent offices contracted to list with OnTheMarket, taking the total to more than 6500.